AMAZING !!!! Sharpedo is like my most favorite water type Poke'mon!!!! 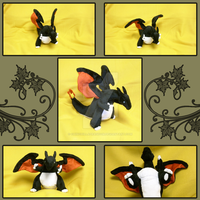 This plush is soooo WELL done, it looks like it could jump outa the computer and use Bite!!!! Ive seen both of your Sharpedos, and there both SUPER AMAZING!!!! are you going to make anymore any time soon, cuase if you are I would SOOOOOOO love to get one from you. 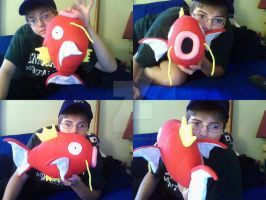 Again amazing work on Sharpedo!!!! I wonder if they got lazy with his design.I love sharks too. I Just want to hug it! Oh my goodness this is so adorable ;A; I love him! You did an awesome job on this plush.